Step into the life of luxury! Alaqua offers a tranquil and stylish setting to live, work, and play in the coveted Bartram Park area of Jacksonville. Our luxurious apartment homes are known for their first-class amenities and gorgeous surroundings. 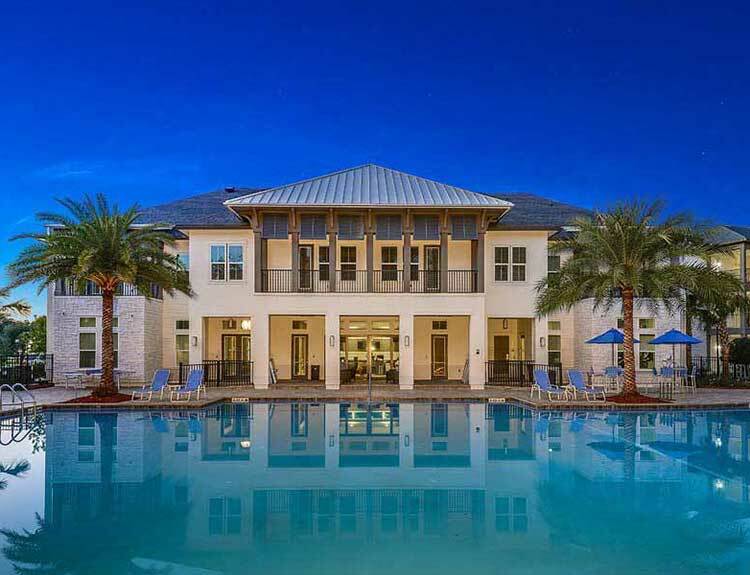 We are conveniently located near some of Bartram Park's top attractions including St. John's Town Center, Avenues Mall, TPC Sawgrass Golf Course, and Northeast Florida's finest beaches. Our residents enjoy a wide variety of nearby upscale and casual restaurants, as well as plenty of shopping and conveniences, all at their fingertips. We're also just a short drive away from all the excitement that the oldest city in the US, St. Augustine, has to offer. With easy access to the newest 9B, I-95 and I-295, our residents experience easy commutes with close proximity to local businesses including Baptist Medical Center South, CSX, St. Vincent’s Hospital and Mayo Clinic. We are also near several colleges and universities including the University of North Florida, Florida Coastal School of Law, Jacksonville University and Florida State College at Jacksonville. Our young residents have access to some of the best schools in the area including Magellan Academy, Bartram Springs Elementary, Twin Lakes Middle School, Atlantic Coast High School and Jacksonville Country Day School. To learn more about Alaqua apartment homes, please visit our amenities page or contact us today!